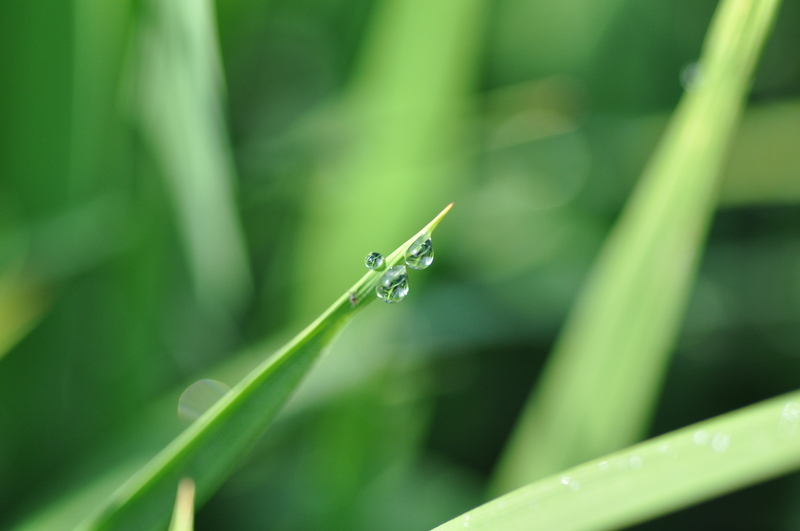 These droplets of water are called guttation - the rice is releasing excess water in the morning. This is what causes high humidity around rice fields in the early morning hours. These high humidity conditions pose a bit of a challenge when taking pictures, but there were way too many critters to miss the chance. The rice is just starting to head and the rice stink bugs were poised and ready to strike. Remember that the threshold for treatment in the first two weeks of heading is 30 per 100 sweeps, and after the first two weeks of heading to hard dough is 100/100 sweeps. Be sure to observe preharvest interval restrictions. Mike Stout and I are co-advising a graduate student who is studying rice stink bugs. We may be revising thresholds in the future. We had walked out in the field to look at some suspect red rice – this is easy to spot because it usually has a light yellow color, pubescent (hairy) leaves, and awns when the panicle emerges. Johnny recommended rouging the weedy red rice out of the field before it has the chance to go to seed. A big problem can grow from a small patch of plants. 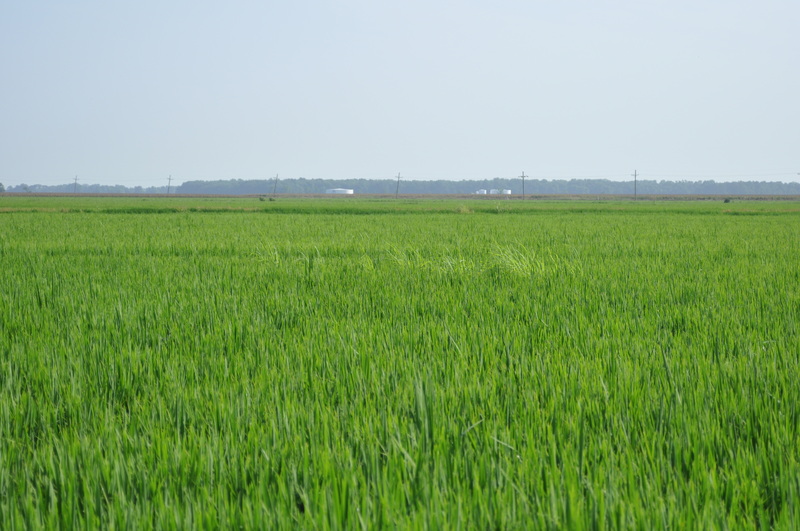 Patch of red rice in a conventional rice variety. 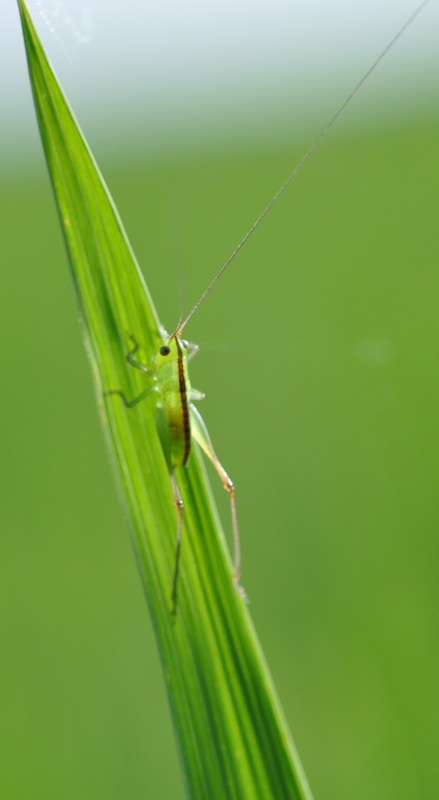 As we were examining the red rice I couldn’t help but notice an abundance of long-horned grasshoppers in the field. This included adults and immatures. 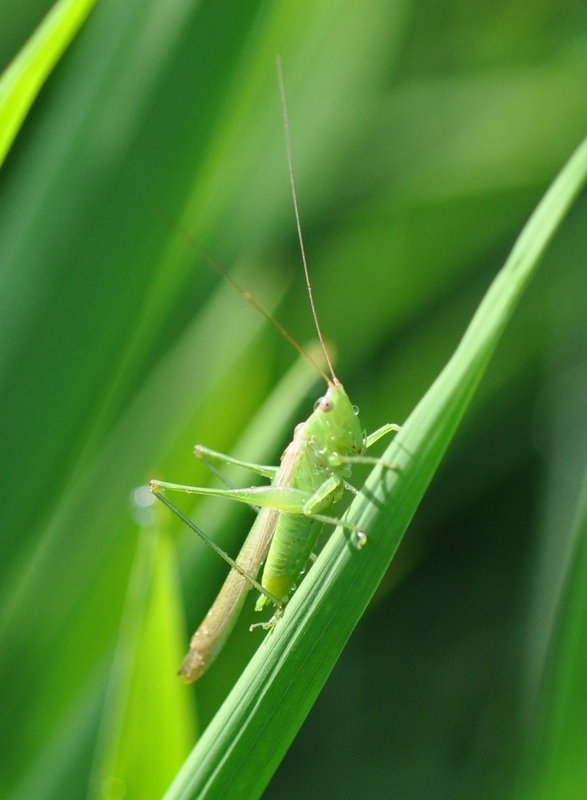 In most cases, even if the grasshoppers feed on rice they won’t do enough damage to warrant a spray, but sometimes they can be severe. 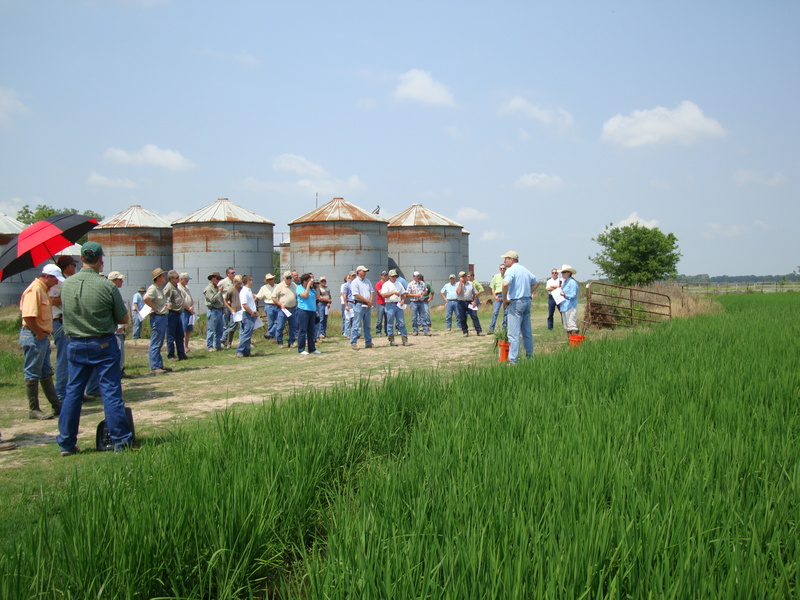 This is a good thing to be on the look-out for as your are scouting your rice. Longhorned grasshopper nymph - notice the long antennae. Before we had even driven to the field, the farmer – Mr. Garrett Marsh had mentioned some small black and white insects on the Johnsongrass at the edge of the field. As I had suspected, these were chinch bugs. 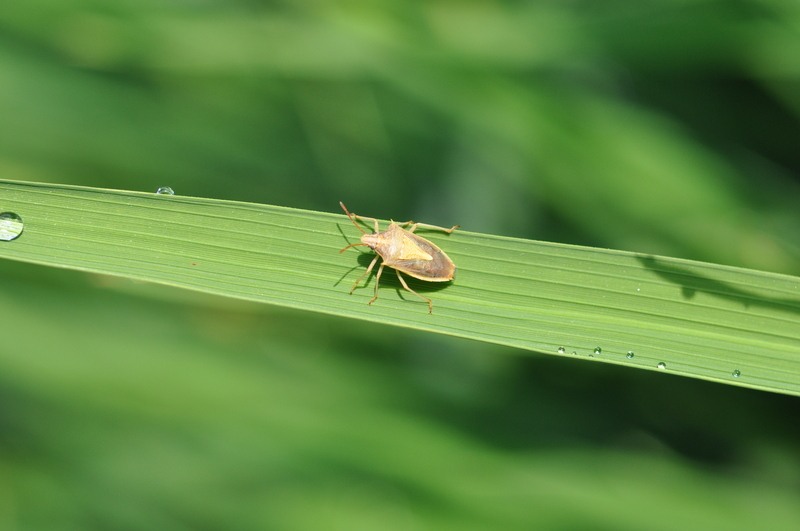 Chinch bugs can be sneaky pests that prefer to hide down inside the sheath of plants. As we examined the weeds, we found a variety of life stages from nymphs to adults. Notice the difference in coloration from the nymph to adult stages. Nymphs molt (shed their skin) to go from orange, to orange with tan band, dark brown with tan band, to finally the black adult with a white hourglass. 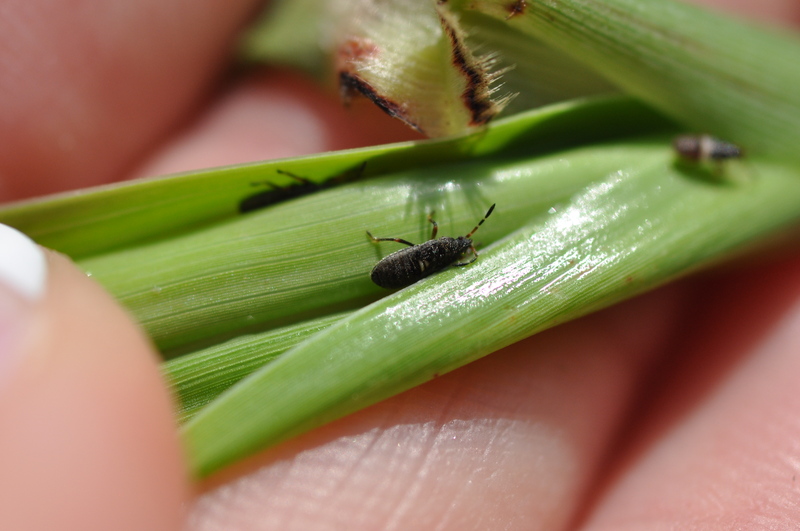 This is what chinch bugs often look like when you are scouting for them in grasses - this is the rear view of an adult hiding out in the leaf sheath to avoid the heat. Notice the distinct hour glass that you can just barely make out from the rear view of the chinch bug adult. At this stage of the game, there is no need to treat for chinch bugs even if they were in the field. 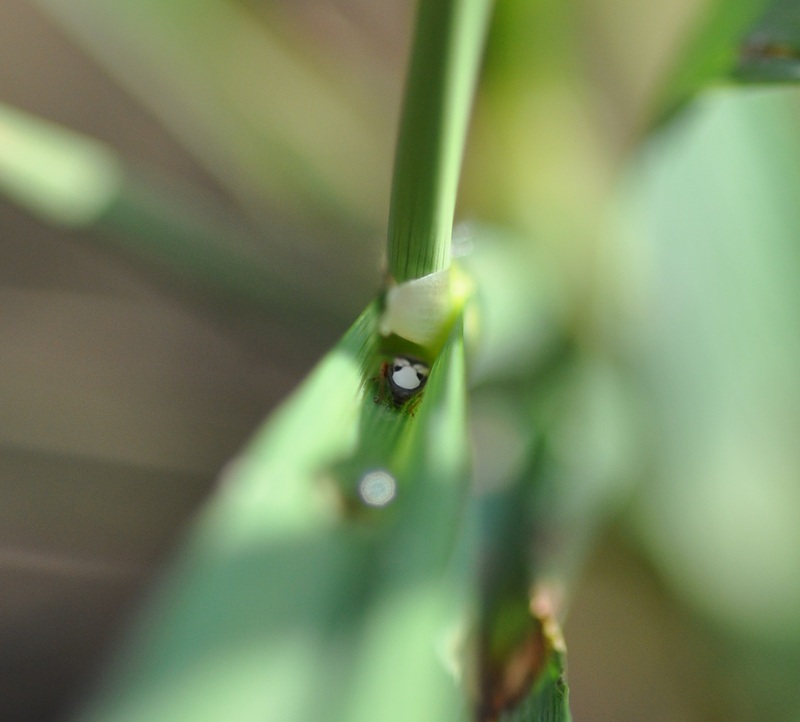 Although, I have had some reports of chinch bugs causing damage to panicles in headed rice – Johnny Saichuk featured this damage in his field notes. It is good to remember that insects do not follow rules and will many times surprise us with what and when they decide to damage the crop. This week we have field meetings in Vermilion Parish (Tuesday afternoon) and Richland Parish (Wednesday morning). Please contact county agents Stuart Gauthier or Keith Collins for more information.